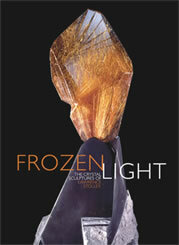 This is the ultimate coffee table book for anyone who enjoys crystals! This beautiful hardcover book contains lots of impressive color photos and a wealth of information. A 9 1/2" x 13" hardcover with 175 pages.